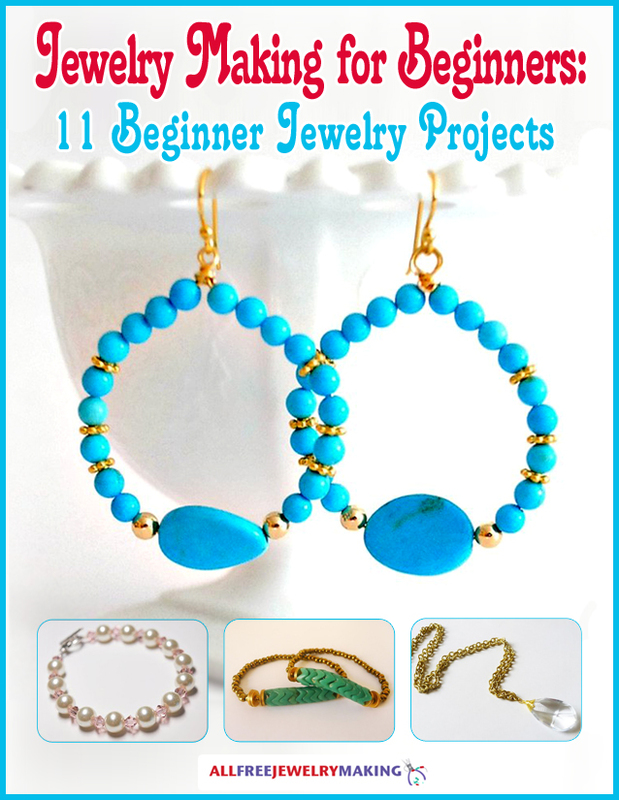 If you've always wanted to learn how to make jewelry but weren't sure where to begin, then this collection of beginner tutorials is just what you need to get started! Get this FREE eBook now! Add some drama to your outfit for New Year's Eve with this Glamorous Long Beaded Necklace! This jewelry project is easy to make and so elegant, too. It will add just the right amount of style to your cocktail dress, and this necklace will definitely dress up a more casual outfit, too. With its use of shimmery materials, this long beaded necklace will shine and sparkle into the new year. This pattern is also a great way to incorporate beads and materials from leftover projects in a new and stylish way, and we're confident you'll want to wear this necklace for almost any occasion! This long beaded necklace is so cute and I love the beautiful colors. I have not made one like this yet butI can see me making many. I love to look at a necklace to get my own ideas. How about you? Don't worry if you have never made one before because not only is there a tutorial but a great video to go along with it and also some very good pointers.So go a head and grab your supplies and get started on your own long beaded necklace. You will be so glad you did. I found this pattern too late for it to be a new years eve necklace, but it is so pretty it doesnt have to be limited to only one occasion. This necklace looks so great that it could be a daily. I think it would go great with casual jeans look or with a simple dress for a dinner date. This is a great beginner project. It's easy, doesn't cost much and is cute. I can see it done in black and white do it can go with just about anything. I will be attending a black and white ball ne t month and I can whip this up in no time, thank you!